On the day Scotland played Hungary at football in Budapest, the visiting supporters' ‘Tartan Army Sunshine Appeal’ made a donation of HUF 1,700,000 to the local Wesley János Nursery, presented by British Ambassador Iain Lindsay. Tonight many expats around the world will sing a Scottish song, probably after a wee dram of whiskey, and perhaps some haggis, to celebrate the birthday of Robert Burns. In Budapest there are a whole host of Burns Night events taking place this year, not all on January 25th, here’s your guide to what’s on here in honour of the man Hungarians call the Scottish Petőfi. This annual Christmas initiative by a local expat church brings together good folks from the international community to add a bit of magic to the lives of children living in 'deprived areas of Budapest'. You can experience the joy of giving by becoming an Elf for an afternoon, a reindeer told us the British Ambassador is lending a helping hand, read on for how you can get involved. Away Resorts appeal to people who realise they need to get off the 'speedway of life' from time to time and take a high quality break. Over worked and over stressed Away guests understand the need to “Get Away” from their normal routine and enjoy a vacation in a location that is truly 'paradise found'. 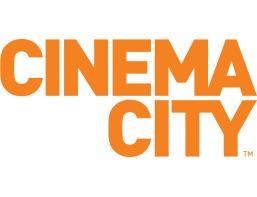 Thanks to everyone interested, there's been a great response about watching T2 Trainspotting together with the international community at this premier-week screening, following a VIP reception featuring: free-flowing red + white wines, finger-food, craft-beer / Scottish whisky / fine chocolates tasting, plus unlimited Cinema City snacks & soft drinks.